Two institutions accomplish sustainability initiatives worthy of recent recognition by NACUBO. 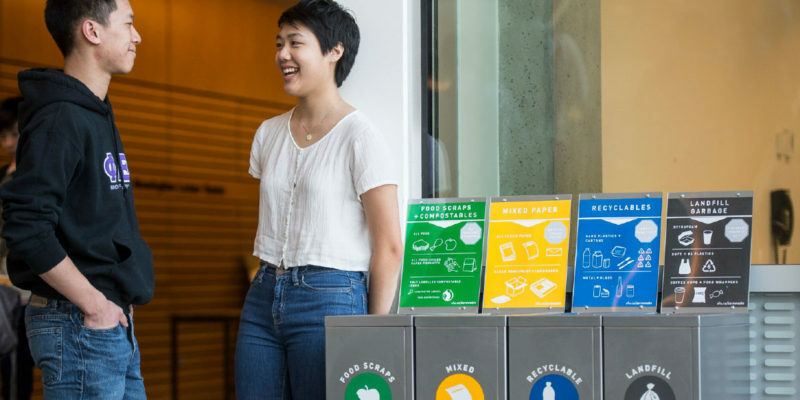 Simon Fraser University’s ongoing recycling campaign saves the institution money, meets environmental commitments, improves the campus aesthetic, and engages the community. Emory University’s WaterHub project converts toilet wastewater into a product that can be used for campus heating and cooling, while offering many other benefits. Both initiatives, described in this article, received 2016 NACUBO Innovation Award honors for outstanding institutional innovation and achievement in two areas: (1) Process improvement at higher education institutions that have successfully re-engineered or designed a program that improves service delivery or administrative activity in response to a campus need; and (2) Resource enhancement at higher education institutions that have successfully reduced costs, increased revenues, or improved productivity in response to a campus need. Business Officer will feature in upcoming issues the additional institutions that received Innovation Award honors in 2016 and were honored at the NACUBO 2016 Annual Meeting in Montréal. At Simon Fraser University, a student sipping the last few drops of morning coffee is encouraged to “stop, think, sort” before tossing the cup in the trash. If it is paper, the coffee container goes in the green bin; Styrofoam belongs in the black bin. The color-coded bins—there are four to choose from—are just one component of the zero waste initiative adopted by SFU with the goal of diverting 70 percent of waste from the landfill, while doubling the amount recycled or composted. Simon Fraser University’s zero waste initiative includes color-coded bins that guide students in disposing of various materials. “Since its launch in January 2014, the initiative has diverted more than 1,600 tons of waste from the landfill, reducing methane gas emissions and saving about $180,000 (Canadian) in landfill fees,” says Martin Pochurko, SFU vice president, finance and administration, Burnaby, British Columbia. He adds that this figure does not account for disposal fees/rebates for other material streams. To develop the program, SFU sustainability staff first consulted with Metro Vancouver and universities facing similar challenges, and then formed a partnership with the university’s facilities services. The aesthetic benefit, she explains, was to ensure that the waste collection infrastructure across the campuses added to, rather than took away from, the efforts to modernize and tidy up the institution’s common spaces. In addition, the signage across the three campuses was inconsistent. The new system was designed to conform to current trends in sustainability with predictable language and colors. Food scraps and compostables, such as paper cups, food waste, and paper towels, go in the green bin. Mixed paper, such as cardboard boxes and envelopes, are deposited in the yellow bin. Recyclables, such as soda bottles or cans, and plastic food carryout containers should be placed in the blue bin, as long as the food is emptied first. Landfill garbage, such as plastic bags and Styrofoam, belong in the black bin. Le Roy reports that the high-quality bins, which were the program’s biggest startup cost, have paid off with ease of use, savings, and alignment with the campus aesthetic. Telling adds that the departmental partnership model has been so successful that it is being mirrored by other projects within the university. “We have achieved far, far more by working as a committee with different departments onboard than we ever would have achieved on our own,” she emphasizes. SFU created the first set of signage after research and peer consultations, but continues to change it based on regular testing and surveys of users. 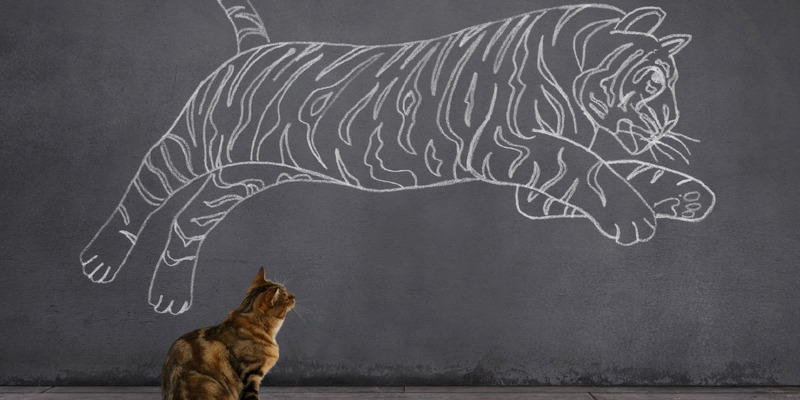 Students also participate through coursework in such subjects as business and communications where they can “push the initiative forward and put their creative ideas into practice,” Telling says. Comprehensive communication strategy. When the project launched in 2014, SFU hired a local musician to create a music video that explained what it was doing and why. With Phase 1 complete, SFU is now looking at Phase 2, which focuses on aligning other internal spaces, such as washrooms, offices, classrooms, labs, residences, and meeting rooms, with the standardized system. According to Telling, this involves moving individual waste receptacles from these internal spaces to more central locations, such as an adjacent hallway, which will save money because the janitorial staff won’t need to service each of these rooms every day and will encourage people to dispose of their waste responsibly by giving them four-stream options instead of a garbage can in each room. According to Telling, the life-cycle tool is integral to a circular economy, which promotes keeping materials and resources in use as long as possible, rather than relying on a linear economy, which involves making products designed for quick use and disposal. When first approached with the idea of turning raw sewage into greywater for use in Emory University’s industrial plants, Michael Mandl remained skeptical. Only after all of his questions were answered did he OK the concept—based on one primary condition. 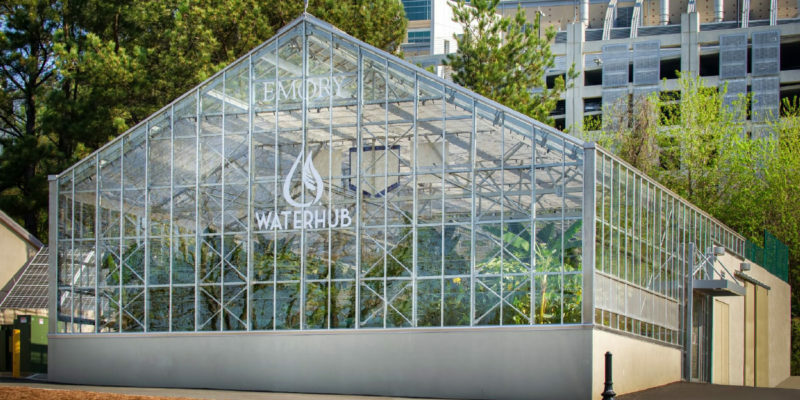 Emory University’s WaterHub uses natural ecological systems to reclaim toilet wastewater for heating and cooling campus buildings. It provides 40 percent of the institution’s total water needs. With that stipulation in mind, the Atlanta-based university gave the green light to Sustainable Water, a water reclamation vendor, to construct WaterHub, an on-site water reclamation system that uses natural ecological systems to reclaim toilet wastewater for heating and cooling campus buildings. Through the planning process and design, the project took a good three years to complete. Without Early’s persistence and unwavering belief in the validity of the project, Mandl says, the WaterHub might never have happened. “It was his courage and commitment to get through my skepticism that allowed us to proceed,” he says. A water purchase agreement specifies that Sustainable Water was responsible for all construction costs, as well as permitting, maintenance, and repairs. Although the vendor owns the technology and the structure, as well as the water that is produced, the university retains ownership of the land it sits on. The WaterHub mimics natural methods of water treatment found in wetlands, tidal marshes, and rivers, Early explains, while traditional wastewater systems tend to rely on mechanical and chemical methods. According to details described in Emory’s website, wastewater is extracted from the municipal sewer system and cleaned through a hydroponic process and a simulated wetland tidal system, which encourages growth of beneficial bacteria and microorganisms in natural ecosystems. The microorganisms consume the nutrients in the wastewater and convert it to high-quality reclaimed water. Early estimates that about 2,000 to 3,000 different microorganisms live in the system feeding off the roots of plants. After biological treatment, the wastewater is filtered and disinfected with ultraviolet light to ensure all pathogens are removed. The water is then reused by the three central chiller plants and the campus steam plant. Additional uses for reclaimed water include toilet flushing at select residence halls and, in the future, irrigation. In case of emergency, a 50,000-gallon emergency water reserve will keep campus heating and cooling systems operating for an average of seven hours. “We only take what we need,” Early adds. “We don’t overproduce.” Usage is monitored daily to determine how many gallons are required. The system can be slowed down by taking less sewage water during low-usage periods. Unlike traditional systems that use enormous pumps to move water through progressive treatment areas, the WaterHub’s treatment processes rely on gravity to move water from one level of treatment to another. With its close proximity to the source of the wastewater, the WaterHub requires minimal energy to transport waste for processing and distribution. Early points out that the WaterHub reduces the institution’s use of drinking-quality water from Atlanta’s municipal water supply by up to 146 million gallons of water annually, leaving more water for the local community. He adds that the institution also receives a sewer credit from the local municipality. Aesthetics. Designed to be aesthetically pleasing with lush plantings, WaterHub does not appear to be a wastewater treatment plant. In fact, Early points out that people often sit on the walls of the facility to eat their lunch amidst a variety of outdoor foliage. Inside the greenhouse, plants such as ginger, lilies, elephant ear, and palms thrive in the tropical environment. Professors are encouraged to incorporate the WaterHub into their botany, microbiology, engineering, public policy, and urban planning curriculums. The WaterHub mimics natural methods of water treatment that are found in wetlands, tidal marshes, and rivers.